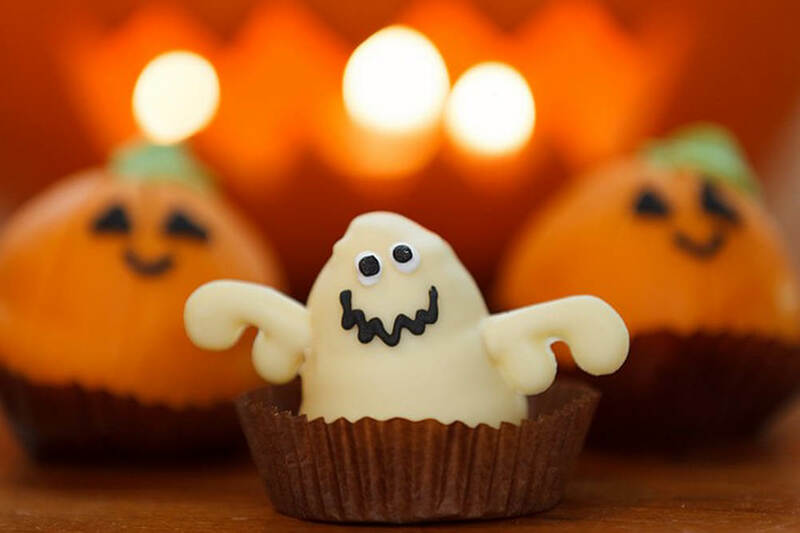 Divine intervention, psychic powers, eerie occurrences and coincidences, lightning strikes, resurrections and vat loads of playful spirits – here's some spooky lottery stories to get you in the Halloween mood! Note: This article mentions lottery winners from around the world playing with traditional tickets. 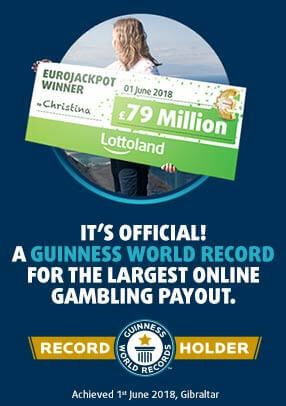 At Lottoloand, however, you don't buy tickets, rather you bet on the results of lotteries online. To write about lottery wins is to have a daily crash-course in the inconceivable. For many the odds of winning alone seem impossible, but yet, without fail, we write about lucky players becoming millionaires every single week. Stranger still, stories of multiple winners – which might sound bizarre but we've already had two in the UK this year alone. Only a couple of weeks back we had the story of Ruby the lovable Labrador retriever who sniffed out a second ticket resulting in a £300,000 double win for her owners. The couple were incredulous when they found a winning ticket, but when Ruby sniffed out a second winning ticket in their car, drawing attention to it Lassie-style, they begun to wonder if there was something more supernatural at work. "I really can't explain the way this piece of paper floated", said winner Jane Slater, it was like you see in slow motion in films, as though someone wanted me to notice it. …It was actually a bit scary because it all happened in such a magical way… we couldn't help feel that someone was looking down on us." Such stories and sentiments are not uncommon. Many lottery winners feel as though their good fortune was not so much down to luck, but rather the result of spiritual guidance, by loved ones who have passed, or through divine forces beyond their comprehension. When it comes to the divine forces one man who carries plenty of clout is the Pope, especially in Italy, where he has more or less a home field advantage. Back in 2005, the year of Pope John Paul II's death, one Italian lottery disciple from the town of Lecce decided to use numbers related to the late Pontiff, including the year he became Pope, 19 and 78, the number of years he was Pope, 26, and his age when he died, 85. The reward for his devotion – approximately £3 million! We all dream of winning the lottery – I mean what can be better? How about winning it twice? Here's a story of one such dream that came true. Back in 2006 Mary Wollens, from Toronto, had a dream where she won the lotto. The dream was incredibly detailed and vivid. She not only saw the novelty cheque with her name on it, she also saw the winning numbers – and was able to remember them on waking. Mary was so sure of her numbers she decided to buy two tickets. Lucky for her she did, because somebody else also had the lucky numbers, but instead of splitting it 50/50, Mary was able to claim two thirds of the jackpot amount, a full $16 million CAD (approximately £7.96) for herself! Back in the UK meanwhile, you may remember a similar story about the "psychic waiter" Fatih Ozcan. Fatih, who worked at a Turkish restaurant in York, had a dream he would win the lottery and managed to persuade his boss to buy a ticket for him. The ticket ended up winning £1 million but Fatih's boss then refused to share the prize, claiming that, as it was his money that paid for the ticket, he was its rightful owner. The case went to court twice, and both times Fatih's boss was ordered to share the prize. Here's a story that made our faces red. Why? Because a year previous we'd written a series called "What are the Odds?" comparing the odds of everything from being hit by falling coconuts and meteors, to your odds of winning the lottery. We also had a story about the odds of being hit by lightning – but then along comes a man who done both! Peter McCathie was struck by lightning as a teenager. Miraculously he survived. Then in summer this year he and a co-worker won $1 million CAD (approx. £493.530) doing the lottery. Not only this, Peter's daughter also had a similar story, she, too, was struck by lightning – and also survived to tell the tale. Although a modest win, in lottery terms, the story made international headlines when one Canadian mathematician calculated the odds of all three events – two cases of lightning strike survival plus a lottery win – at a cosmic 2.6 trillion to one! #5 Aussie Comes Back From The Dead – And Wins The Lottery Twice! Initially, however, the story of Bill Morgan was anything but lucky. Following a horrific road accident Morgan suffered heart failure and spent twelve days in a coma, where he was pronounced clinically dead. The redoubtable Aussie bounced back, however, with no ill effects. Doctors proclaimed it a miracle. Feeling invincible Morgan proposed to his girlfriend, who accepted. Later he decided to buy a scratchcard and won a luxury car. Then the Melbourne local news team got wind of the story and decided to shoot a re-enactment as part of a human-interest piece. All had been going as expected until Bill turned to the cameras to declare, "I just won $250,000. I'm not joking!" Finally, we come to sprits of a different kind and the story of Belfast-born Peter Lavery, who, using his £10.2 million lottery winnings, bought an Irish whiskey distillery. Lavery was another lucky driver, a bus driver in this case, claims "I've been lucky all my life". Since his win, and his savy investsments, Lavery's wealth has tripled. Among those investments the distillery where he makes the aptly named Danny Boy whiskey. If you feel like getting in the mood for Halloween a little early, why not check out our Halloween Scratch which offers a top prize of £250,000!